If 2012 was the year of the smartphone, then 2013 looks to be the year of 4G, as the number of LTE-enabled handsets is expected to triple. Shipments will jump from 91 million this year to 275 million in 2013, according to Strategy Analytics. That's a rise of 203 percent. 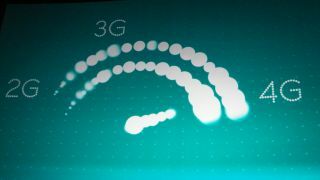 "It is clear that 2013 will be the first year of 4G," said Neil Mawston, executive director at Strategy Analytics, in a statement. "LTE smartphone shipments worldwide will exceed a quarter-billion units for the first time. Multiple operators and multiple phone vendors will be launching dozens of LTE models across numerous countries worldwide. The analysts also had a word of warning for any companies - like Amazon and Mozilla - trying to launch LTE smartphones. "We caution possible new entrants like Amazon will not find it easy to break into the fiercely competitive LTE smartphone market and they will need breakthrough products that are strongly differentiated in such areas as design, price, or services," analyst Linda Sui said in a statement. So let's hope that if the Amazon smartphone does become real, that it stands out from the crowd.